Pastoral Intern: Taylor Bennington grew up in Wooster, Ohio and attends the University of Akron. He loves going to Akron Zips sporting events! Taylor enjoys reading and kayaking as well. This past year Taylor was a Grace Group leader in Grace Students and was blessed by watching them grow in their walk with Christ. 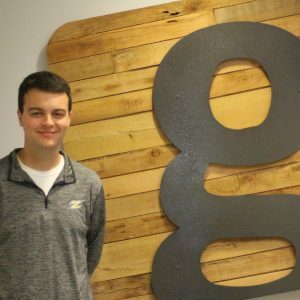 Summer Responsibilities: Taylor looks forward to serving at Grace this summer as he works on devotionals and teaches in groups on Sunday mornings. Worship Intern: Jeremy Lun grew up in Wayne County and loves the Ohio State Buckeyes (O-H!). Fishing is one of Jeremy’s favorite activities. He has been involved with the worship team at Grace and enjoys singing, playing guitar and piano! Going to our church’s orphanages SE Asia has been one of Jeremy’s favorite ministry opportunities and he has been so blessed by his time there. 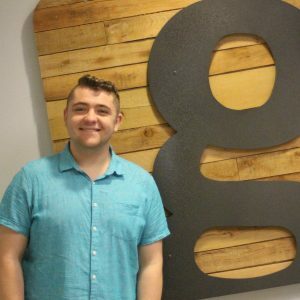 Summer Responsibilities: Jeremy is excited to continue serving the Lord with his gifts and abilities alongside our worship leaders this summer as well as developing students in worship ministry. Communications Intern: Elise Kern moved to Wooster, Ohio with her family in 2005 and she enjoys photography, spending time outside, and being with friends and family. Elise has been serving at Grace as a camera operator for a few years, as well as on the Grace Students Worship team, and in Merge. 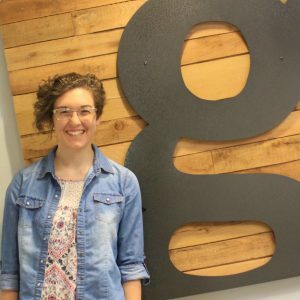 Summer Responsibilities: Elise looks forward to helping put on the Global Leadership Summit this summer at Grace as well as working on blogs for the church and reporting on our mission trips. Video Intern: Blake Stoller grew up in Marshallville, Ohio and enjoys playing soccer! He loves to be creative with video and programming and has already been using his skills for Grace Students services. Blake had the opportunity to serve at the 2018 Kalahari Retreat and he loved capturing the worship moments of the weekend. Summer Responsibilities: Blake looks forward to developing video projects for the church that will aid in Grace’s mission- to develop all people into fully devoted followers of Christ. 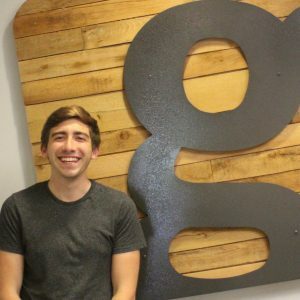 Creative Arts Intern: Tyler Ullman grew up near Smithville, Ohio and his hobbies include boating and jet skiing. He began a ministry at a campground in Shreve and during the summers, they host services. He has been blown away by what God has done in and through this opportunity. 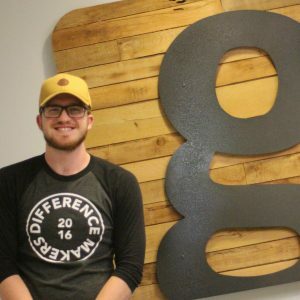 Summer Responsibilities: Tyler looks forward to serving in another area of ministry at Grace this summer as he works on creative elements for our services. Grace Students Intern: Darin Phelps grew up in Shreve, Ohio and loves drumming with the Liberty University Marching Band. 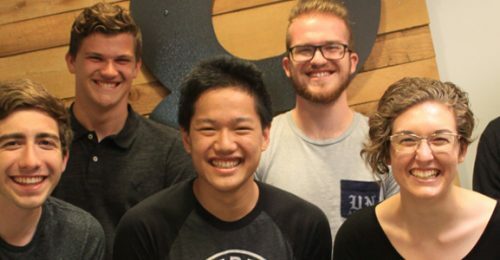 When Darin was a student, he served faithfully as a drummer in the Grace Students Worship team and is looking forward to working with students this summer and helping them take their next step. His favorite memory of ministry so far is when he served in Southern California and established friendships that would last a lifetime. Life is truly better together! 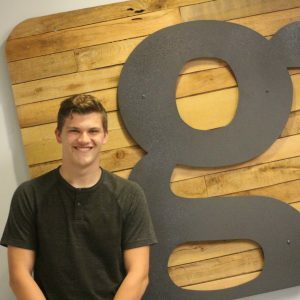 Summer Responsibilities: Darin will be working with the Grace Students team and is excited to help lead on student mission trips. 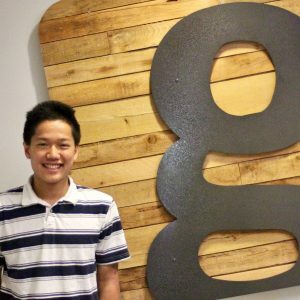 Grace Kids Intern: Dominic Mariano grew up in Boardman, Ohio and is a Cleveland Indians fan! He loves to hike and run. Dominic has enjoyed serving with kids, seeing them grow in their relationship with Christ, and being alongside them while they take their next steps. Summer Responsibilities: Dominic is excited about serving in Grace Kids this summer and with Grace Kids Camp!